7 day candle by Las Ofrenas. Text reads, “they always said I was a surrealist. I never painted my dreams. I painted my own reality” over image of Frida Kahlo. Hi all- hope you’re enjoying my new, redesigned tarot website! After taking a summer sabbatical from my tarot practice, giving myself time to rest, recharge, play with my new Wild Unknown deck and learn more about readings, I’m excited to be back. My practice will be open again as of September 8, 2016. You can book a session right here. I’m also changing the way I offer readings. I had a really intense last two years that saw me on the road to a degree that makes my eyeballs roll back in my head when I look at my schedule. Doing this knocked me for a loop, and I’ve realized I need to make changes so that I can live, not die, in this over 40 disabled femme of color writer body with some sustainability and joy and grace. More of my time right now is being spent writing and teaching – which means I don’t have the spoons to run a full-time practice and do everything else I’ve been doing. However, I still love giving readings for folks. I still love this kitchen table form of healing. I still love sitting with folks at sacred moments of change and helping share what I’ve got. So as of September, I’m offering readings one day a week, on Thursdays, 10 AM- 6 PM PST. I’m also changing my practice to offer shorter, more affordable readings for folks who cannot time or money wise afford the longer 90 minute readings I’ve been offering – shorter readings which are also more sustainable for me energy wise. You can still get a full 90 minute reading- the kind of full-catastrophe kitchen sink readings I’ve been offering- but you can also book a 30 or 60 minute reading. Please check out my rates and offerings page to learn more, and feel free to schedule an appointment online here. I’m looking forward to sitting down with you and the cards and the infinite stories they tell. part 2: the bonus track! Rebooting and updating my website made me reflect on how many things have changed in healing justice community over even the last several years. I’ve been reading cards since 1994, before healing justice, disability justice or trauma and healing were commonly used words, for sure. But my full scale practice is rooted in and blossomed because of the healing justice movement of the 2010s. The healing justice movement is why I was able to take myself seriously as a healing practitioner, and created the community and context where many folks could see divination and tarot reading as something they could try, as a normal tool to use. As radical healers, we exist on our own, but we also can’t really flourish without all the movement work to re-imagine and decolonize ideas of healing, create practitioner networks and clinics and collectives. I remember a conversation I had with Tieraney Carter, another member of the Badass Visionary Healers, a few years ago where we talked about how much groundwork healers of color and QTPOC healers had to do to make healing seem comfortable and ordinary to folks in our communities- that of course getting a massage or a reading or acupuncture was a doable, regular, affordable practice, not something for white rich people. “We began with the seed of a vision and the soil of our circumstances. We planted ourselves, rooted ourselves to this work, and we grew. We flowered. We dropped seeds. They titled their blog post, “Honoring growth, change and transformation” and those words are on my mind as I think about the 4th year of my official practice. The movement indeed continues to move. Our organizations don’t always last forever, and I want to make sure our history, lessons and learning don’t get lost, but we do keep spreading seed. When I officially launched my practice in 2012, I knew one other queer tarot reader of color with a practice and a website. Now I know at least ten.The ending of a project doesn’t have to mean failure; it can mean evolution. The disability justice warrior in me (which is to say, all of me) can see how viewing change and transformation that way can come from an anti ableist place. Ableism holds at its core a terror of death and impairment, and an idolization of a ‘perfect’ white, cis, able-bodied body that never breaks. Breaking, pausing, ending is seen as the ultimate failure. And in movements, healing or not, we often have a vision that things must keep growing and expanding forever up- that if they pause or stop, they’re over, a has been. We talk a lot about sustainability, but because this is an ableist, capitalist world, we’re often hard pressed to figure out exactly what that means, or how to make it happen in our work. I’m still figuring it out. 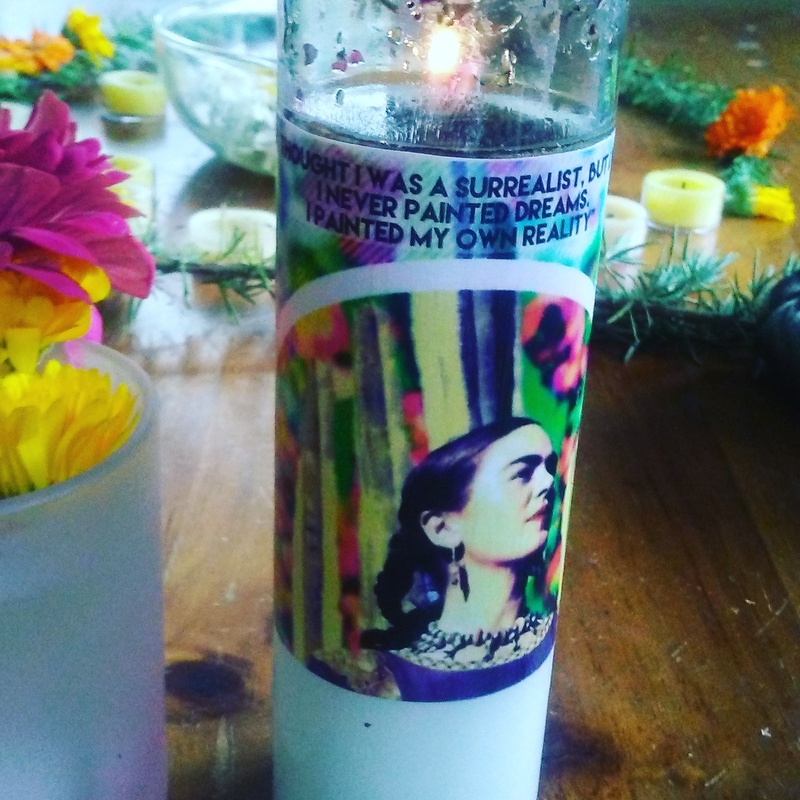 One thing I am starting to (maybe) know for sure as a disabled femme of color healer, is that taking time off from work is scary but necessary, and part of an ongoing tradition of crazy, disabled healers who need to take time off to regrow ourselves. That slowing down, pausing and changing the way we do the work- and having a business plan that is not operating from a stronger, faster, always growing model- is new, but necessary, and awesome. Is yet another way of centering disability justice in how we imagine our movements and circles to be. Next Post the courage to heal: even thinking we can access “healing” is a big courageous act as oppressed people sometimes.